Your business website isn’t just a place for potential customers to learn about your business and potentially make purchases. It’s the face of your business, an arm of your online marketing plan, and so much more. 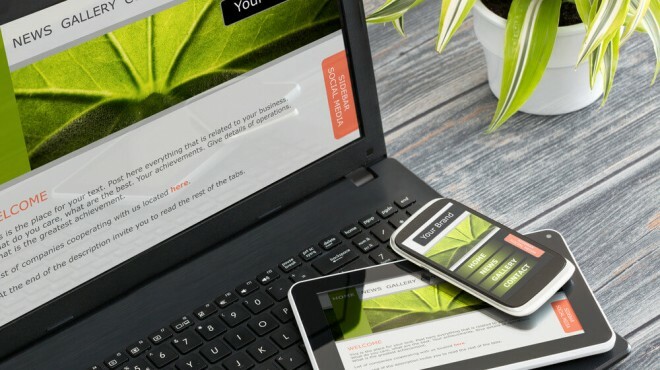 For some tips on making your business website as great a tool as it can be, check out these tips from members of our small business community. Getting people to visit your website is a great first step. But if you want your business to succeed, you need return visitors. In this article on Target Marketing, Gabriel Shaoolian shares three simple methods for gaining return visitors. Ecommerce platforms have gotten much more sophisticated in recent years. The amount of options that you have for different store types and features can be overwhelming. This post on Inc by Anita Campbell shares five eCommerce stores that are easy to add to your website. The headlines that you use for blog posts and other parts of your website are incredibly important, since they can convince visitors to read or see what you have to say. This post by Ileane Smith includes some tips for writing great headlines. And the BizSugar community shared their input here. You can use an exit overlay on your website for a variety of reasons – to get customer feedback, to encourage interaction, and to help solve problems with your website. In this post on the Exit Bee blog, Victoria Stamati discusses the various types of exit overlays and the benefits they can have for business websites. You’re likely already taken some steps to secure your business data from outside hacks or similar threats. But people who have insider access to your data can also pose a threat. This post by Vadim Vladimirskiy on the ADAR PersonalCloud blog explains more about insider threats and how you can protect your onine data. For years, .com was the king of domain extensions. But now some other extensions like .co and .io are making an impact on business websites. This article from Olivia Scala on Trellis discusses the growing trend of .co and similar domain extensions. You can also see discussion about the post over on BizSugar. Including educational content in your website and other online marketing materials can help make customers see you as an authority in your industry, and have a variety of other benefits. Renee Teller discusses the benefits of including educational content in your marketing on the Carben Creative blog. As a prominent arm of your online marketing efforts, your social media channels are sort of an extension of your website. So your social media marketing efforts should reflect your brand and the hard work that you put into your website. Gosia Letki shares some tips for boosting your brand on social media on the Brand24 blog here. Failure is an inevitable part of running a business. But whether that failure relates to your website or other parts of your business, there are ways you can fail that will prevent your business from completely falling apart. In this Noobpreneur post, Chad Stewart explains how you can fail better. And BizSugar members discussed the post further here. Whether you’re working on building your website, your marketing, or any number of other parts of your business, you’re going to need to try out some things that might not exactly work out. In this post from The Experiment, Danien Ndukwu shares some thoughts on using trial and error as an entrepreneur.